Your patients are growing, so keep your reward selection growing with them! Re-stickables stickers can be used to decorate electronics such as cellphones, laptops and tablets, or applied to notebooks or other hard, non-porous surfaces. These tech decals can be easily removed and placed on another similar surface without losing stickiness or leaving residue behind. Re-stickables are the perfect reward for those hard-to-shop-for tweens and teens! 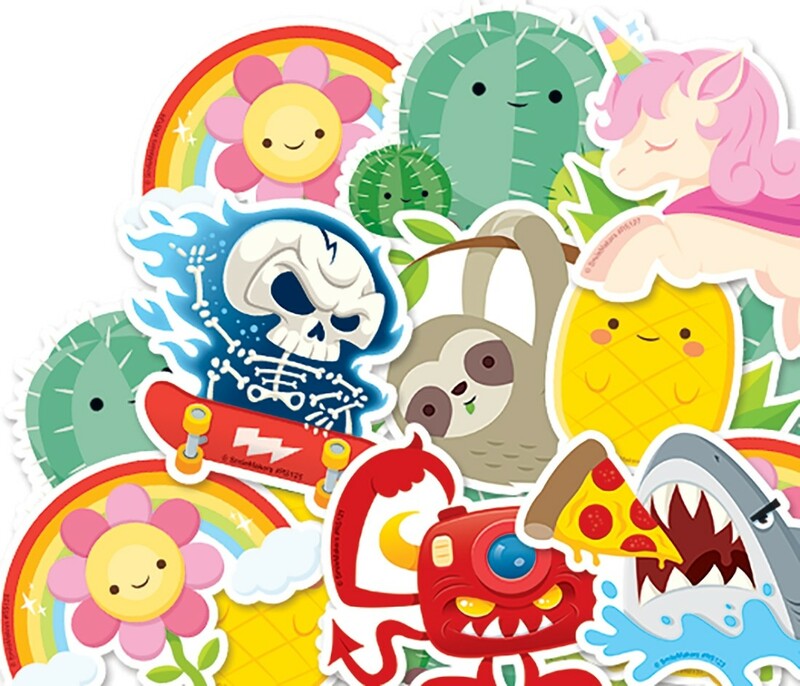 This assortment includes all eight SmileMakers designs: Cute Cactus, Camera Monster, Pineapple, Pizza Shark, Flower Rainbow, Skateboarding Skeleton, Sloth, Unicorn.